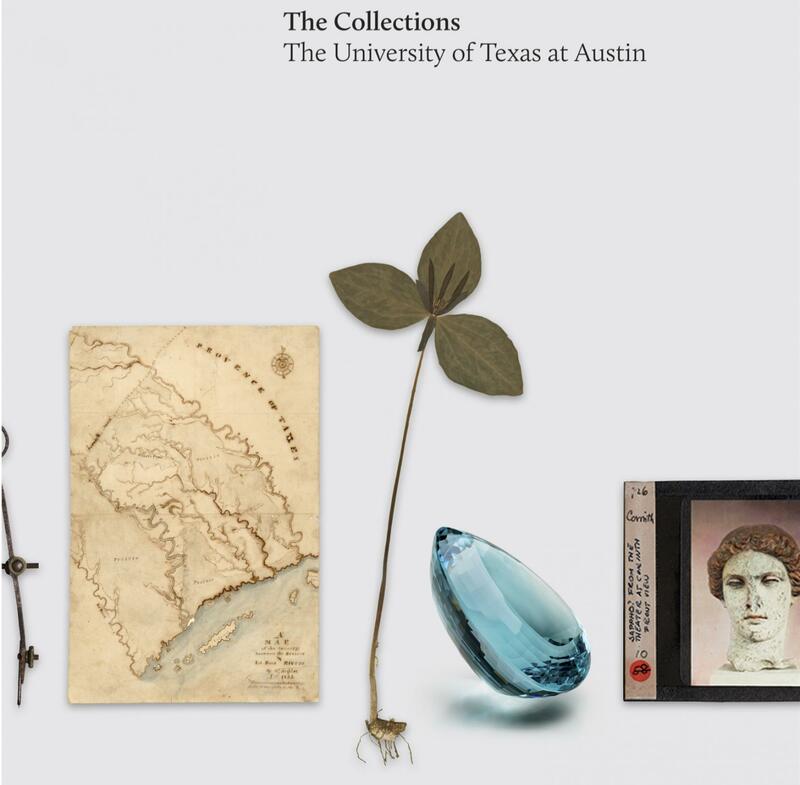 The University of Texas at Austin has released a digital edition of The Collections, the first encyclopedic account of the university’s repository of cultural artifacts. With more than 170 million objects, the university outpaces the largest collections in America and rivals many in variety and importance. The full 720-page volume is published at thecollections.utexas.edu. Available for free download, the broad distribution of the e-book and searchable PDF enables worldwide access to the university’s distinguished collections. The book, released in print in January 2016, spotlights more than 80 collections — some familiar and others virtually unknown outside their fields of research — acquired since the university’s inauguration in 1883. It reveals the scale and diversity of the holdings by bringing these materials together for the first time, offering a new perspective on collections at public universities. The Collections offers an account of all the university’s irreplaceable artifacts, introducing each collection by outlining its history, highlighting its strengths and suggesting its educational function. Highlighting materials held by some 40 academic and administrative units, The Collections covers a radical range of subjects — archaeology, ethnography, fine and performing arts, rare books and manuscripts, decorative arts, photography, film, music, popular and material culture, regional and political history, natural history, science and technology – providing insights on the formation of collections at institutions of higher learning. Visit UT Austin’s news site for more information.